Essays on the quest of Holden Caulfield undoubtedly point to Salinger himself calling Holden Caulfield’s adolescent journey a “quest that takes him outside society, yet the grail he seeks is the world and the grail is full of love”. Salinger’s description explains why Caulfield appears so intolerant and subsequently alienated from the world in Catcher in the Rye. There is little doubt that Holden Caulfield’s language bespeaks a man much older. Holden appears to blame much, if not all, of that discontent on what he deems to be the phoniness of the adult world. Salinger concedes that Caulfield’s endeavor to expose the inadequacies of the adult world and to preserve the innocence of the as yet untouched would have been acceptable by a much younger child. The angst that is exhibited by Caulfield is marked by the predictable rebellious behavior of youth and yet it has a depth that should be reserved for the much older or those who have experienced and had to deal with the world’s problems first hand. "If you want to know the truth, I don't know what I think about it. I'm sorry I told so many people about it. About all I know is, I sort of miss everybody I told about." The Catcher in the Rye Analysis - The Catcher in the Rye analysis essay discusses J.D. Salinger’s 1951 novel. The Catcher in the Rye Summary - Essays on a The Catcher in the Rye Summary discuss J.D. 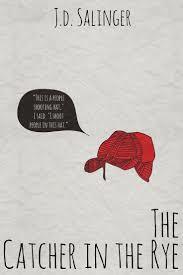 Salinger's story about a sixteen-year-old Holden Caulfield; a student at Pencey Preparatory Academy in Pennsylvania. Character Analysis of Phoebe in The Catcher in the Rye - In The Catcher in the Rye Phoebe Caulfield complicates the rather simple narrative that her brother gives. Motifs in The Catcher in the Rye - The themes in the novel The Catcher in the Rye provide the reader with considerable depth and understanding, but it is the motifs that enhance this knowledge and make a clear set of images for the reader. Symbolism in The Catcher in the Rye - As a quintessential piece of American literature, The Catcher in the Rye has been studied time and time again, looking at themes, setting, characterization, and, most importantly, symbolism. Themes in The Catcher in the Rye - Throughout the novel The Catcher in the Rye there are numerous themes to consider, each of which add increasing levels of depth to the story as a whole. Paper Masters writes custom research papers on Holden Caulfield's Quest and look at J.D. Salinger's portrayal of Caulfield's quest in Catcher in the Rye.